We are now accepting applications for OpenAI Fellows and Interns for 2019. These programs provide an opportunity for people to work at OpenAI who are currently studying AI or wanting to transition from another speciality into AI. OpenAI Fellows for the February 2019 Cohort will spend the first 2 months of this program working through a specially-curated curriculum written by OpenAI’s researchers and writing a research proposal based on their interests. Fellows will then work on the project outlined in their research proposal for the following 4 months with guidance from their OpenAI mentor. This 6-month program is specifically designed for people who want to transition into conducting artificial intelligence research and apply their current domain expertise/skills. Diverse backgrounds. Previous fellows have come from various backgrounds spanning across genetics, software engineering, physics, and theoretical computer science. Dedication. We will give priority to applicants that can join OpenAI full-time following the program. Passion for Research. We want to engage with researchers and scientists who are motivated to dive into AI research and have previous research project experience. 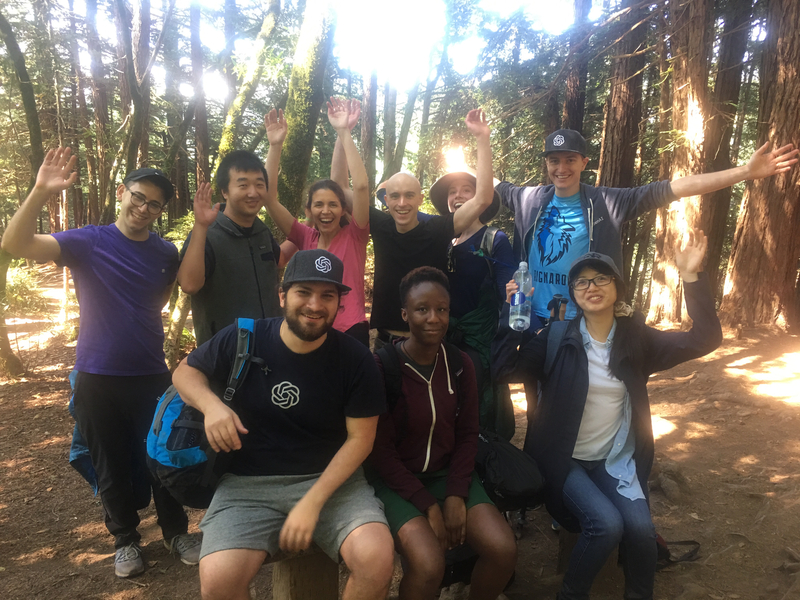 OpenAI interns for the Summer 2019 Cohort will work with an OpenAI team and contribute to OpenAI’s research over the course of 3 months, starting May 2019. Our interns contribute to large-scale projects like our work on Robotics and conduct their own research into AI. To get a sense of what sort of projects people work on, please check out some of the presentations from our 2018 Intern Open House. Self-Direction. We want to work with interns who have demonstrated an ability to guide themselves in solo work as well as contribute as a part of a team. Practical Skills. While research is important, we also really value interns who are great at implementing their ideas quickly, working with a shared codebase, and communicating changes to their work with their team. Technical & Research Experience. We value interns with a strong body of scientific work (especially single-author papers) as well as engineering backgrounds that can contribute to our current AI research efforts. We offer two decision periods: Early Decision and General Admission. Early Decision is designed to give candidates the opportunity to apply in Fall 2018 and secure an internship for Summer 2019 by the end of 2018. If you apply by November 2nd, 2018, we will notify you of your admissions status by December 21st, 2018. The application timeframe and deadlines below apply to both international and US-based applicants. General Admission allows candidates to apply later in the year for a Summer 2019 internship, with rolling admissions. We may close applications for Summer 2019 early if we reach capacity earlier than anticipated, and will update the job post when that happens. We are accepting applications from candidates without US work authorization from November 3rd, 2018 to February 15th, 2019, and will notify international applicants of their admissions status by March 15th, 2019. We are accepting applications from candidates with US work authorization from November 3rd, 2018 to March 15th, 2019, and will notify these applicants of their admissions status by April 15th, 2019 at the latest. If you apply after March 15th, 2019, we will consider you for future summer internships, or fall/winter internships (in exceptional cases). You are in your final year of your PhD or undergraduate degree and are available to work within a year of completing your internship. You have a strong body of scientific work, especially first-author papers. You have strong engineering skills, with a primary interest in research. You are available for a minimum of 3 months, starting in May 2019.